Had an incident this morning. I was doing some low level fly pasts and miss judged a small ridge with long grass. Fantastic watching it coming past at speed but this is the result. Does anyone know the best online place to pick up spares. There is a place in Suffolk called “Buzzflyer” who area recognised DJI Repairer. Not sure if they are stockist of parts for home repairs though. Maybe worth a phone call. 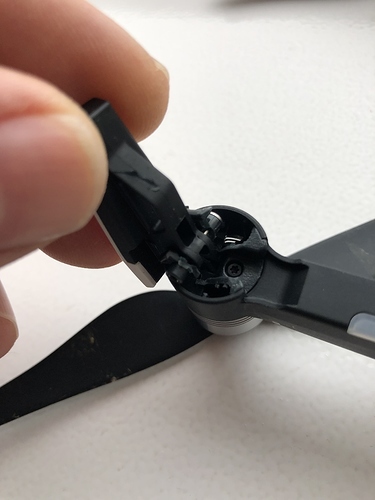 These people were highly recommended for repairs, but I believe all official DJI repairers are limited as to which parts they’re allowed to sell for self fit. Honestly couldn’t be more pleased with every aspect of dealing with them - first class customer service, absolutely incredibly fast turn round, excellent communications. I love to tell people when I find a really excellent service - and AB Repair (www.phantomrepair.co.uk ) and Scott really are excellent! For self fit, eBay has been my source. Thanks gents. It will still fly but looks a bit sorry for itself when it lands. I’ve been looking at leg extensions that’s the quick fix. Can’t be certain from the pic … which model and which corner is that arm/leg? Hey mate. It’s an air. Spares look to be very rare. 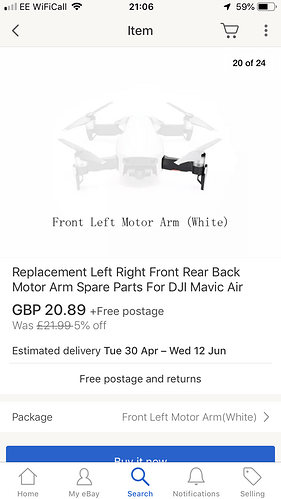 It’s as if it’s a closed shop and you have to send your drone away to be repaired. Which will obviously cost an arm and a leg. That’s exactly what it is mate. 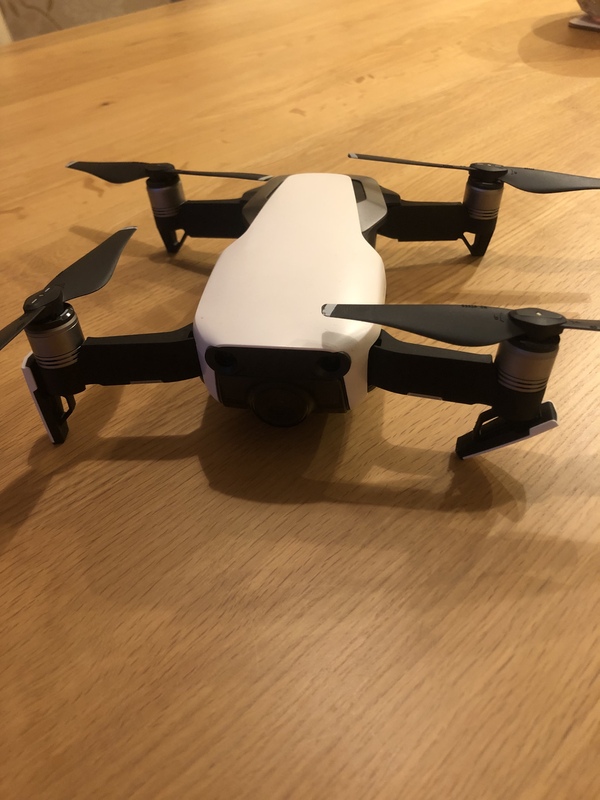 DJI don’t sell parts to the end user. Even the DJI service agents are not allowed to sell parts, only repair. If you email heliguy or some of the other authorised service service agents they should be able to give you a price. EBay or China is your best bet for DIY. I’d be tempted just to superglue it back together. It still flies ok but it’s only hanging on by the antenna wiring. But I think I’m just going to carry on flying it until either I can’t no more or I can source the part to diy repair. 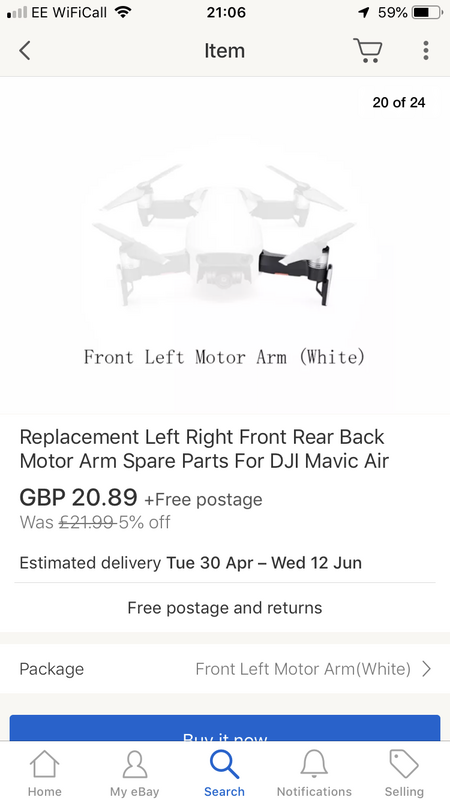 Just on principle I’m not going to send it away to have it repaired and have my pants pulled down followed by a right royal, you know what just for a piece of plastic that probably costs about 10p. No chance of superglue repair then? I might try using some stuff called Sugru if it was mine. It can be moulded around and (left to cure properly) quite strong. There’s a piece missing. It looks like a little round disc. I had a look about in the grass for it but didn’t stand a chance. If I can’t get one in the UK then this on eBay is worth a try. Problem is that the leg is hinged, it needs to pivot, so any repair would need to be on only the broken surface and not add any material on. Sure is! … even if it wasn’t before! If I can’t get one in the UK then this on eBay is worth a try. Lol. It’s actually a cloaking device. Is there footage of the crash? Sorry Tassy I wasn’t filming. I was just arsing about doing flybys.